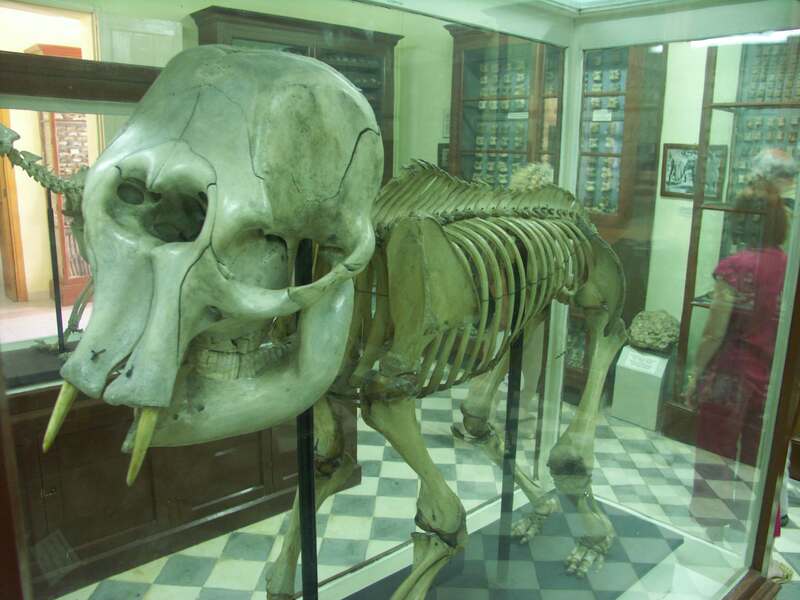 Home » THE DWARF ELEPHANT OF MALTA; ORIGIN OF THE CYCLOPS MYTH? Dwarf elephants are prehistoric members of the order Proboscidea that, through the process of allopatric speciation on islands, evolved much smaller body sizes (around 1.5-2.3 metres) in comparison with their immediate ancestors. Dwarf elephants are an example of insular dwarfism, the phenomenon whereby large terrestrial vertebrates (usually mammals) that colonize islands evolve dwarf forms, a phenomenon attributed to adaptation to resource-poor environments and selection for early maturation and reproduction. Some modern populations of Asian elephants have also undergone size reduction on islands to a lesser degree, resulting in populations of pygmy elephants. Crete (in Chania at Vamos, Stylos and in a now under water cave on the coast), Sicily, Sardinia, the Cyclades Islands and the Dodecanese Islands. Other islands where dwarf stegodon have been found are Sulawesi, Flores, Timor, other islands of the Lesser Sundas and Central Java, all islands are in Indonesia. The Channel Islands of California once supported a dwarf species descended from Columbian mammoths, while small races of woolly mammoths were once found on Saint Paul Island; the mammoths on Wrangel island are no longer considered dwarfs. A possible origin for the Cyclops legend, advanced by the paleontologist Othenio Abel in 1914, is the prehistoric dwarf elephant skulls – about twice the size of a human skull – that may have been found by the Greeks on Cyprus, Crete, Malta and Sicily. Abel suggested that the large, central nasal cavity (for the trunk) in the skull might have been interpreted as a large single eye-socket. Given the inexperience of the locals with living elephants, they were unlikely to recognize the skull for what it actually was. Għar Dalam (pronounced ar dàlam in Maltese and meaning “Cave of Darkness”) is a prehistorical cul de sac located in the outskirts of Birżebbuġa, Malta containing the bone remains of animals that were stranded and subsequently became extinct in Malta at the end of the Ice age. It has lent its name to the Għar Dalam phase in Maltese prehistory. Dwarf elephant, hippopotamus, deer and bear bone deposits found there are of different ages; the hippopotamuses became extinct about 180,000 years ago, whilst the deer species became extinct much later, about 18,000 years ago. It is also here that the earliest evidence of human settlement on Malta, some 7,400 years ago, was discovered. Evidence of Ancient Stone Cutting Technology? – Where is this coming from?